As promised, here is a post showing some of the things to see in my region. 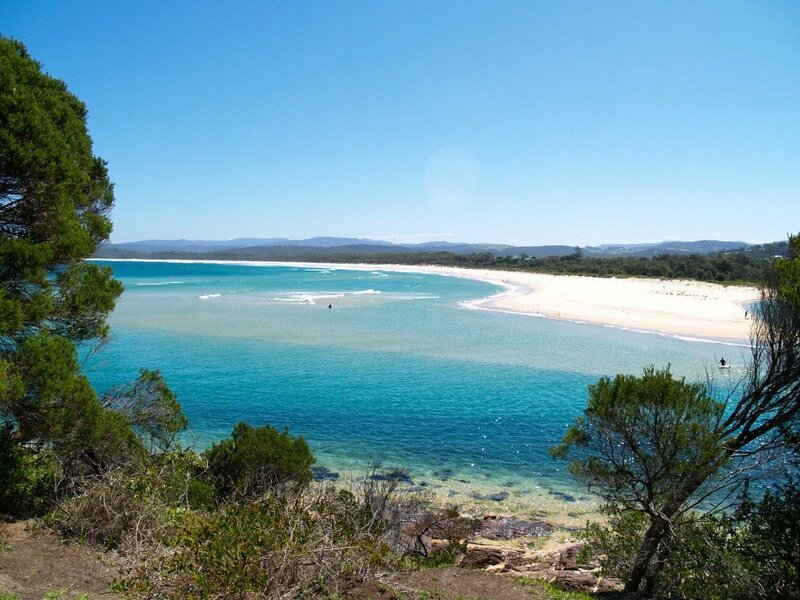 My town is on the southern coast of the state of New South Wales, Australia. 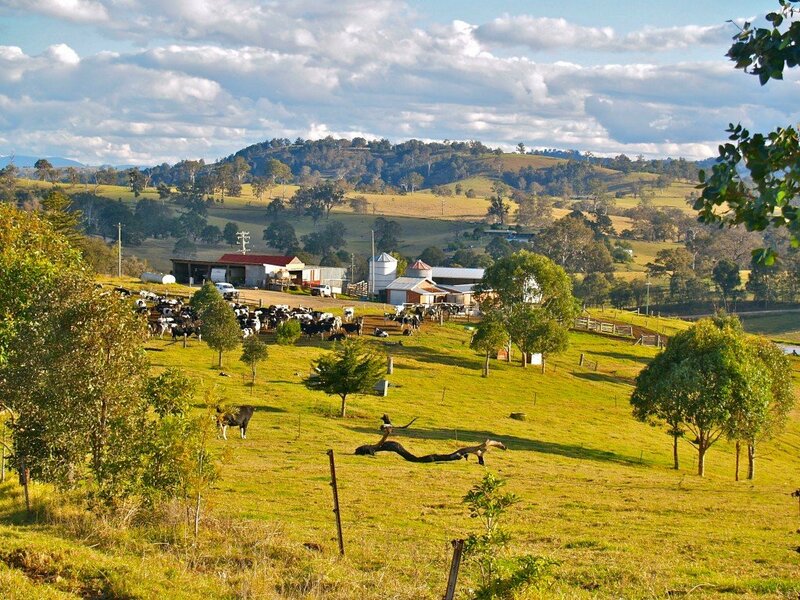 Our shire has a history in dairy farming, gold mining, fishing, whaling and tourism. Gold mining and whaling are now part of history. Some people still use metal detectors to try to find gold in the hills and the only whaling is whale watching where tourists see the annual whale migrations along our coast. Dairy farming, fishing and tourism are important parts of our region's economy. It was back in 1847 the first of my family migrated from Scotland to the Bega Valley. They established their farm in the 1850s. This means my mother's side of the family is one of the oldest families in our shire. A cousin still runs a dairy farm, his milk going into the making of Bega Cheese, naturally a favourite of mine. With my family's history, I thought I'd start with some photos of the old family dairy farm. When the weather has been kind, the farm is a mass of green but drought can turn this scene brown. This is an aerial view I took from a plane. From the coast, across Wallagoot Lake and to the mountains on the horizon is much of my shire. 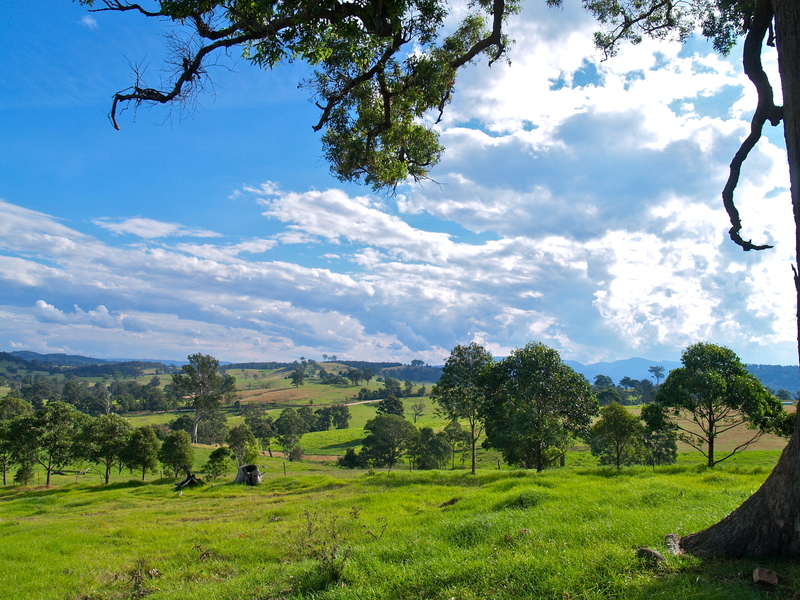 The farm is on the far right towards the distant mountains. We have two main beaches in my town. This is the longer one to the south. 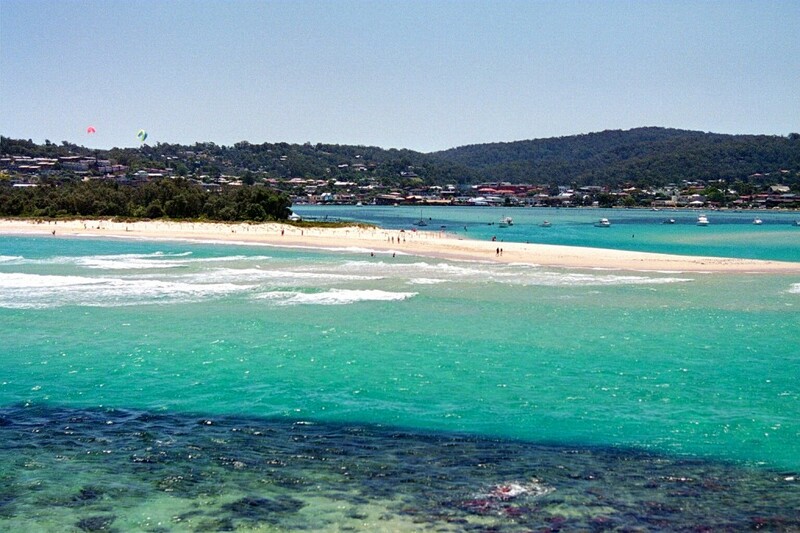 It is known as Pambula Beach. 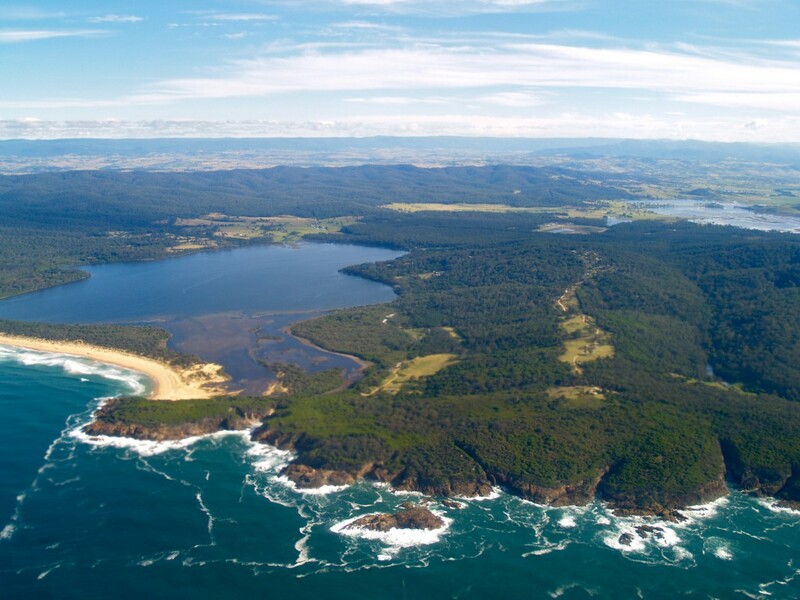 It stretches to the town of Pambula. 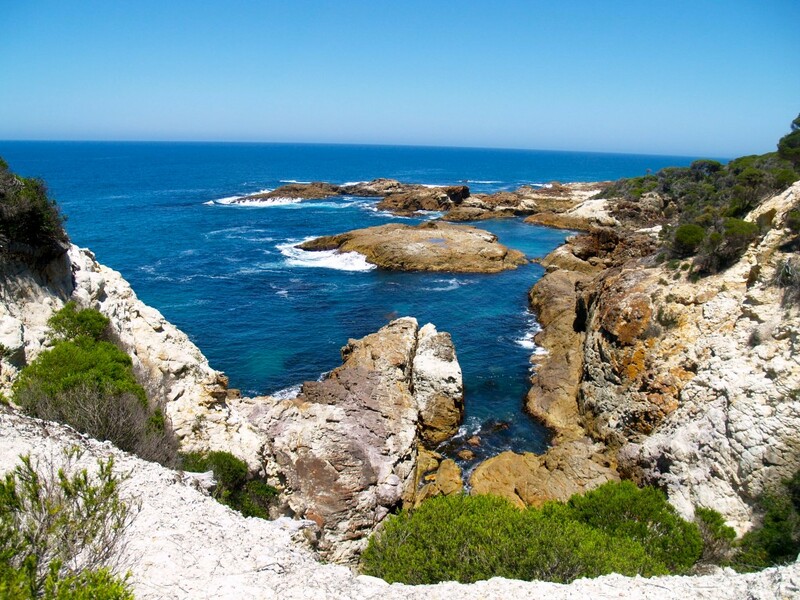 The photo was taken along a coastal walking track in town. A view from the same track across the lake to my town, Merimbula. 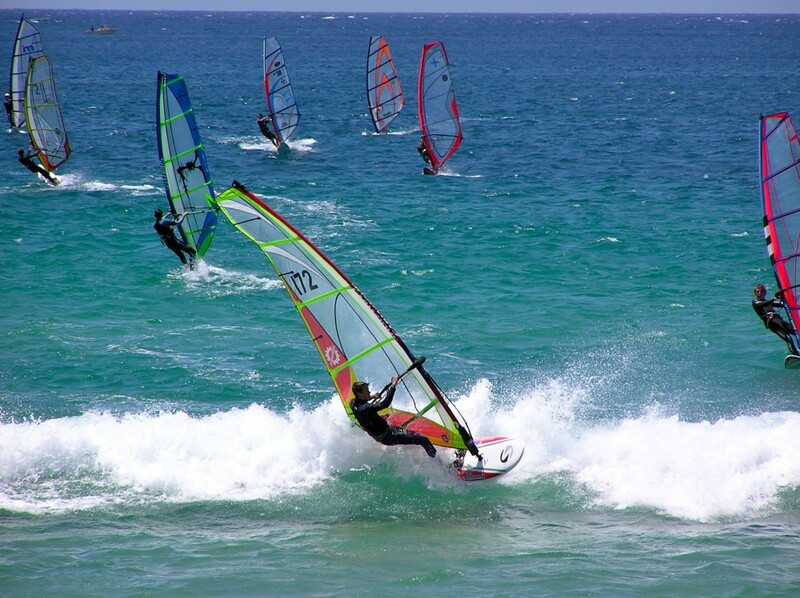 Surfing and other beach sports are popular. 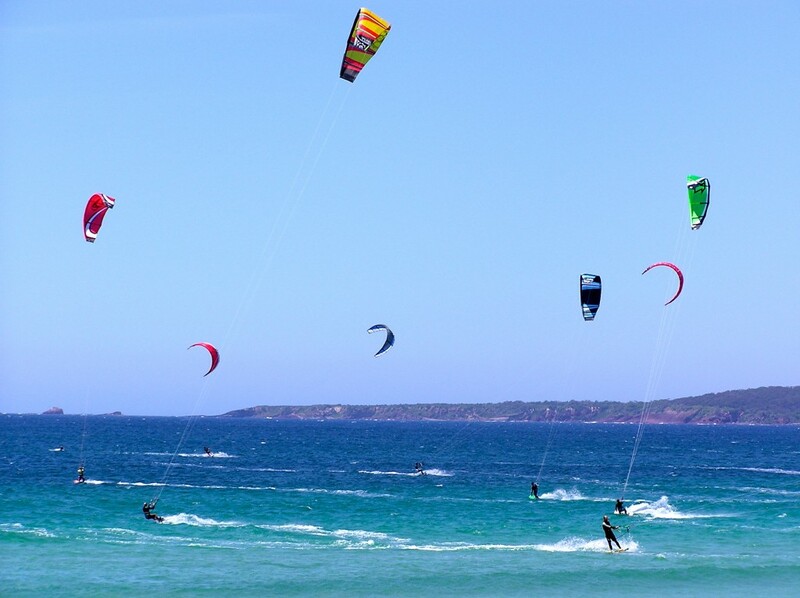 These photos were taken at our annual surf competition, the Merimbula Classic. 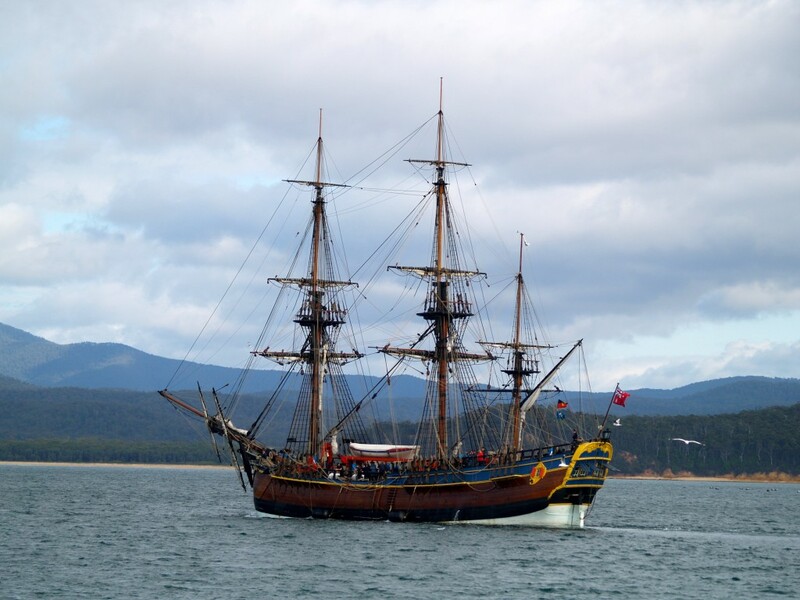 We have the latest ships come to our shire's harbour in Eden, Twofold Bay. There are historic, picturesque towns popular with tourists. 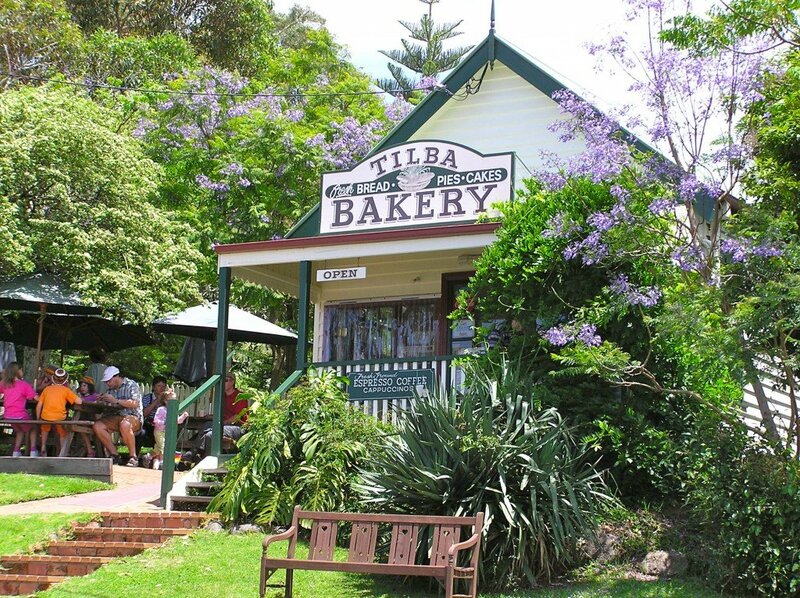 This is Tilba. 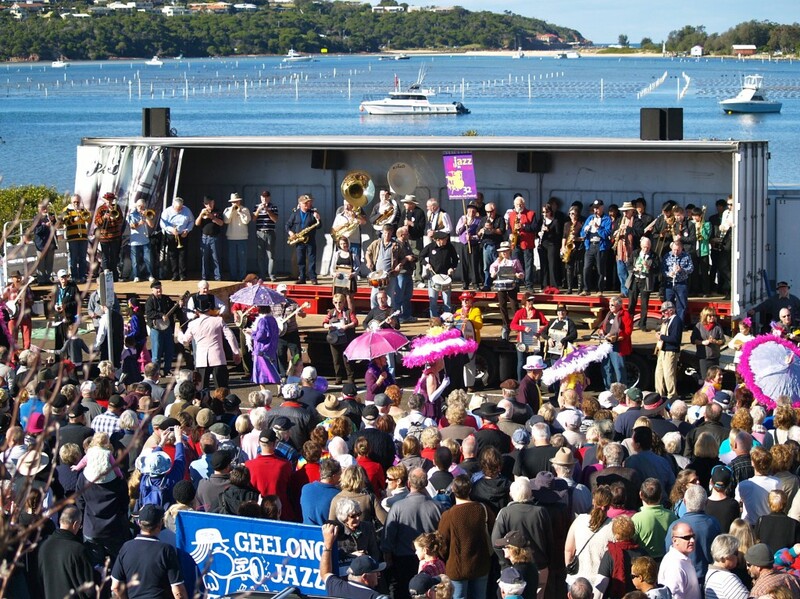 There's even an annual jazz festival. And just in case this is all boring, here are some more animal photos some of which I have not before shared. 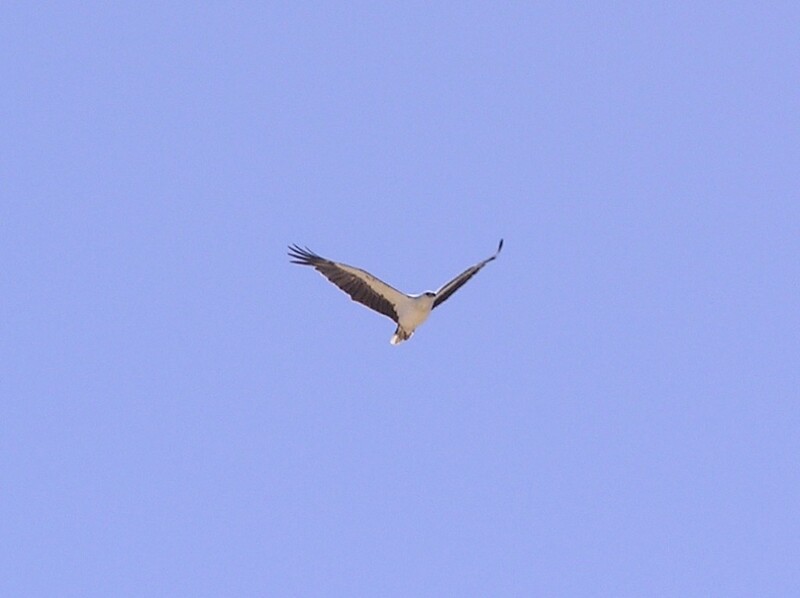 This is a white-bellied sea eagle (Haliaeetus leucogaster) seen along our coast. 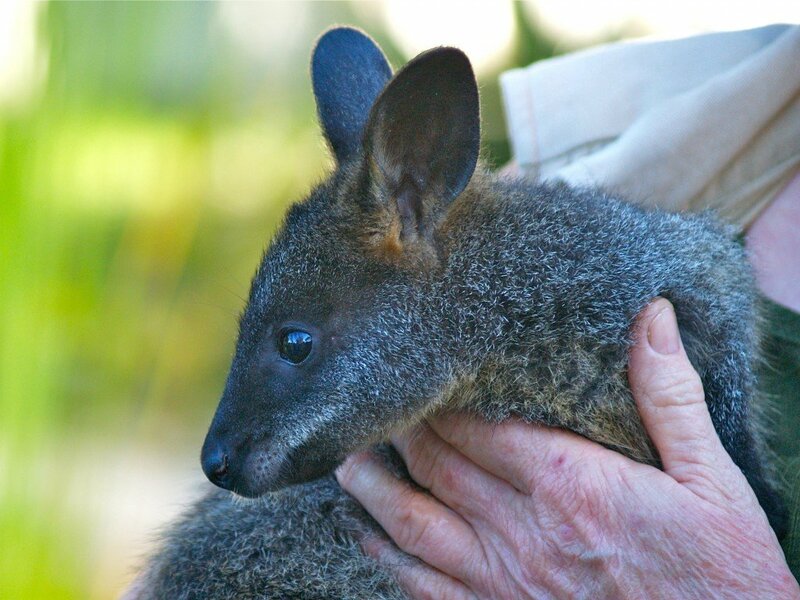 Swamp Wallaby (Wallabia bicolor) . 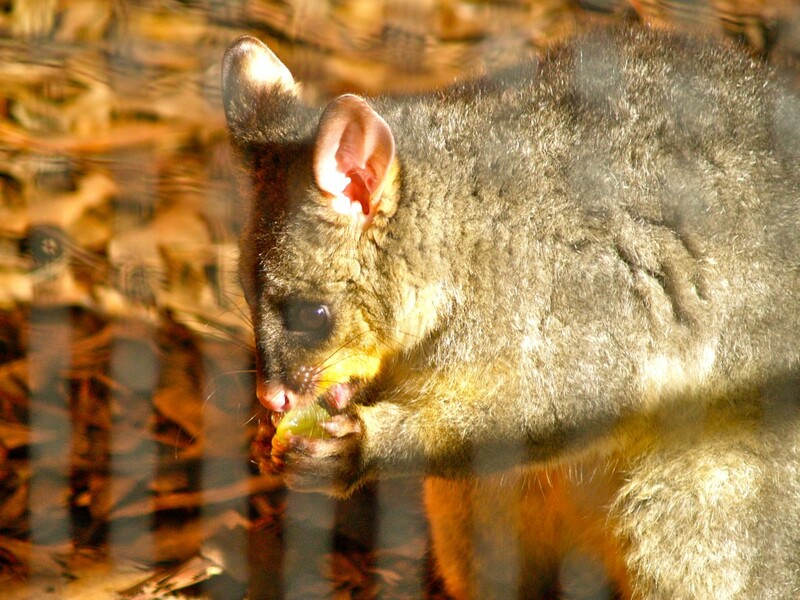 A marsupial. This little girl was orphaned and lives in an animal sanctuary. Laughing Kookaburra (Dacelo novaeguineae). Click on the link and you will see the Wikipedia page. On the right is a picture and information about the laughing kookaburra. Below that is an audio file. 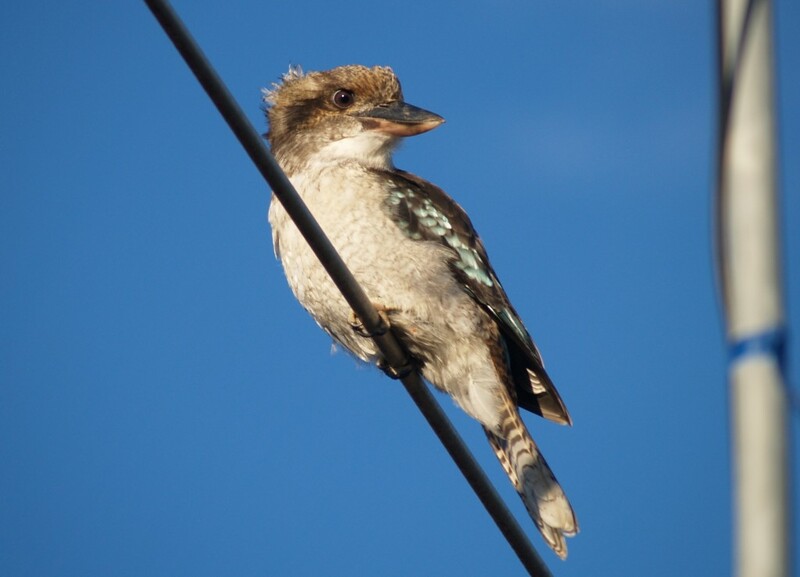 Click to play and you will hear the kookaburra's call. I sometimes wake to hear them in the park near my home. This photo was only taken a day ago when one landed on my TV aerial. Soldier Crab (Mictyris longicarpus) When conditions are right for them, they can emerge in hundreds or thousands at low tide. 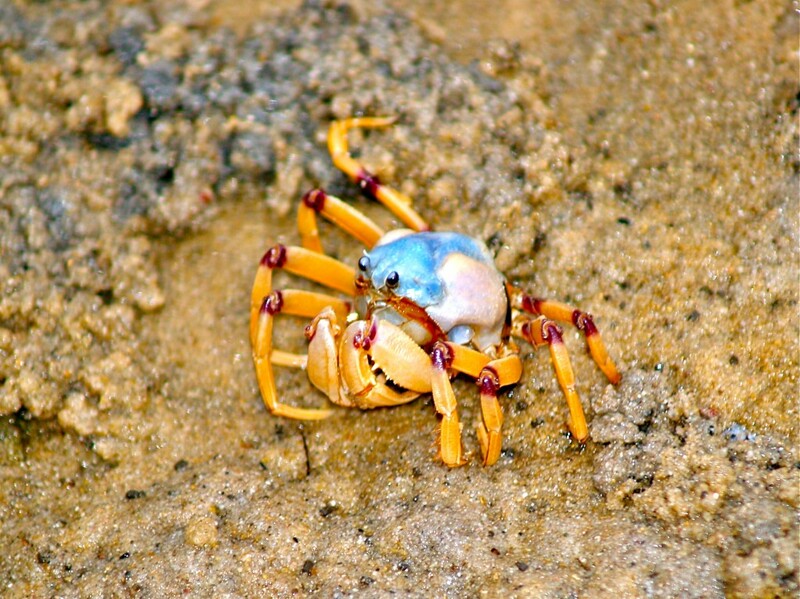 The "army" of crabs wander across the sand feeding. 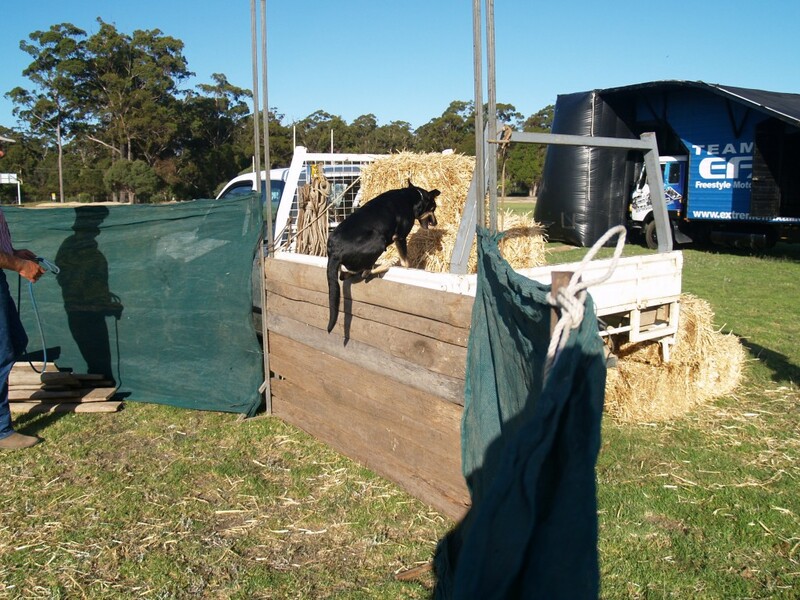 Each year, one of our local country shows has a wall climbing event for dogs. There prize is a large bag of dog food. 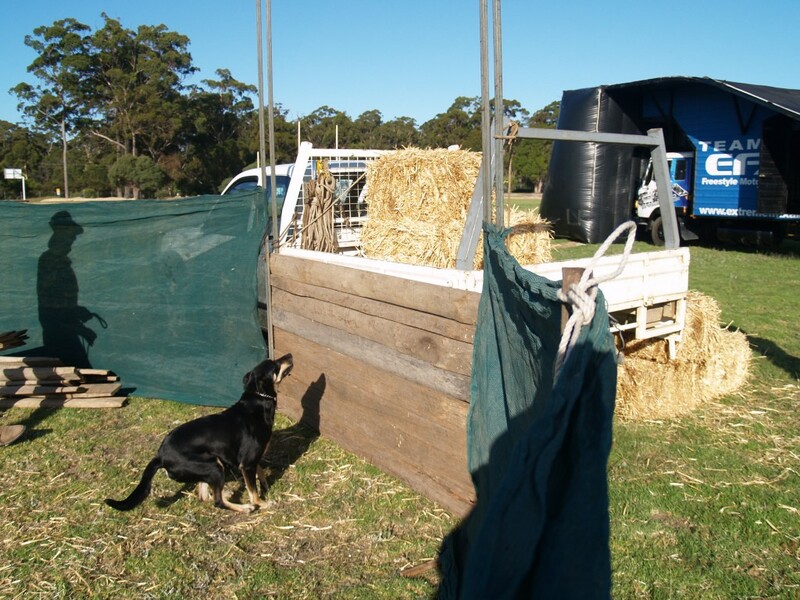 The first two photos is of an eventual winner of the large dog section by clearing a higher wall. 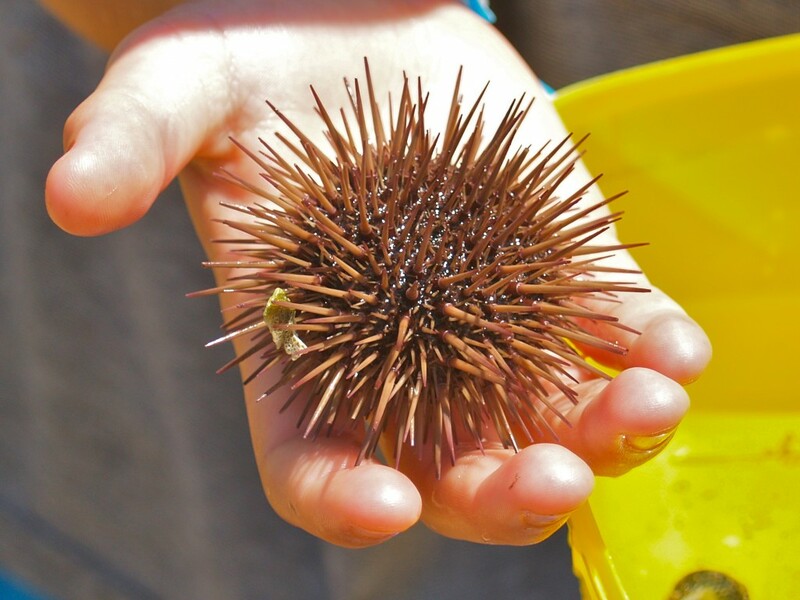 Posted in Animals, Australia, Environment & Weather, Geography, Plants on March 11, 2013 by rossmannell. Wow! Australia looks like an awesome place to live! All of the pictures are amazing. I would love to be at beach right now. One day I would like to visit your town. It looks like there is something to do everyday! It seems like you will never get bored. One of my favorite pictures was the marsupial. It is so cute! 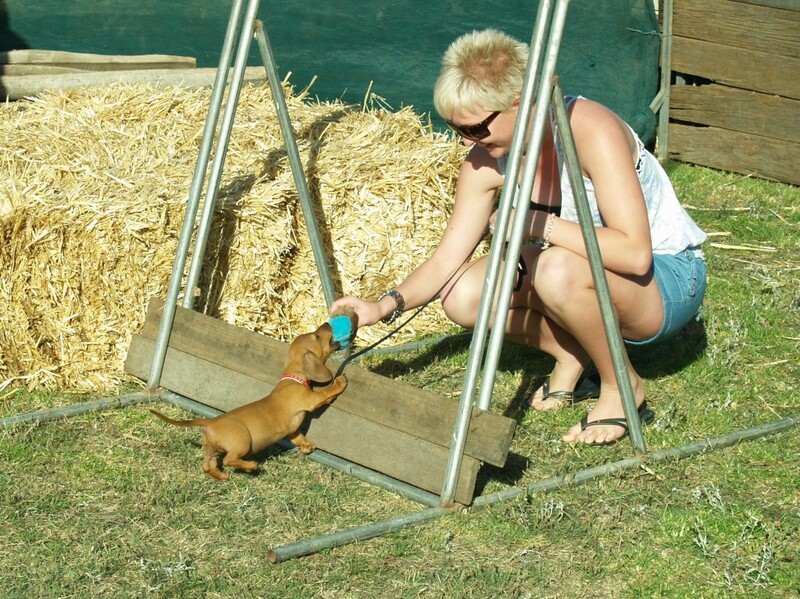 I also, of course, loved the dogs! Thanks again for the comment. I really enjoyed it! 🙂 I’ll make sure to look at your blog for more blogging opportunities. One of the advantages of living in an area is being able to photograph it in the best light. The beach photos were taken on clear summer days. Being an island continent, our entire country is surrounded by the sea. We can only drive around our own country and not across the border into another whereas you can drive to Canada or to Mexico and South America. I know many Aussies would love to be able to do that. I know the U.S. has the opossum as its marsupial but it seems Australia has a much bigger share of these pouched animals. I know I often surprise them when out walking. We once had an animal known as the thylacine or Tasmanian tiger living in Tasmania. It looked much like a dog but the females, like all marsupials, had a pouch. Wrongly accused of being a stock killer, they were hunted to extinction. It is sad how many of our animal species have disappeared since the first colonists appeared here and brought in cats and foxes. Of interest, some still believe there might be thylacines living in the more rugged areas of Tasmania. None have been found but it would be wonderful if they have survived. Thank you so much for taking the time to respond to all of these comments. It’s very appreciated! The pictures are beautiful! It definetly is an advantage to live in the area that you live in. You should be a photographer! 🙂 Is it sunny for most of the year in Australia? How is the weather? Have you ever visited the United States? Australia sounds like an amazing place to live. Maybe when I’m older I’ll visit there one day! Thanks again for your comment! Yesterday temperatures in my town reached 30C (86F). It was sunny with clear blue skies. Today the temperature had dropped to 25C (77F) and it was overcast. We are entering Autumn (Fall) here so our days are will soon be shorter than our night and temperatures will drop. I haven’t known it to snow here in winter but the mountains less than an hour’s drive from here can have snow. In a way I have been to the United States but only the 50th state when I travelled to Hawaii. I have been as far east as Hawaii and as far west as England, Scotland and Wales but I haven’t yet been able to reach U.S.A. and Canada. You are an amazing photographer! Thanks for sharing all of the photos you did. Wow! 86 degrees! In Michigan, it is 25F. This is too cold for me. You should visit the United States more, when you can. It’s really cool that you visited all those places in Europe! I wish I could visit all those places one day! I’m glad you have enjoyed the photos. I enjoy sharing them almost as much as taking them. As you might suspect, I spend a large amount of time on blogs and commenting.